Granted annually by the American Library Association since 1922 to the most distinguished children’s book published the previous year, the Newbery Medal is one of the best known awards for noteworthy children’s literature in this country. On Sunday evening, June 24th, librarians from around the world will honor this year’s Newbery Award winner at the annual American Library Association conference. 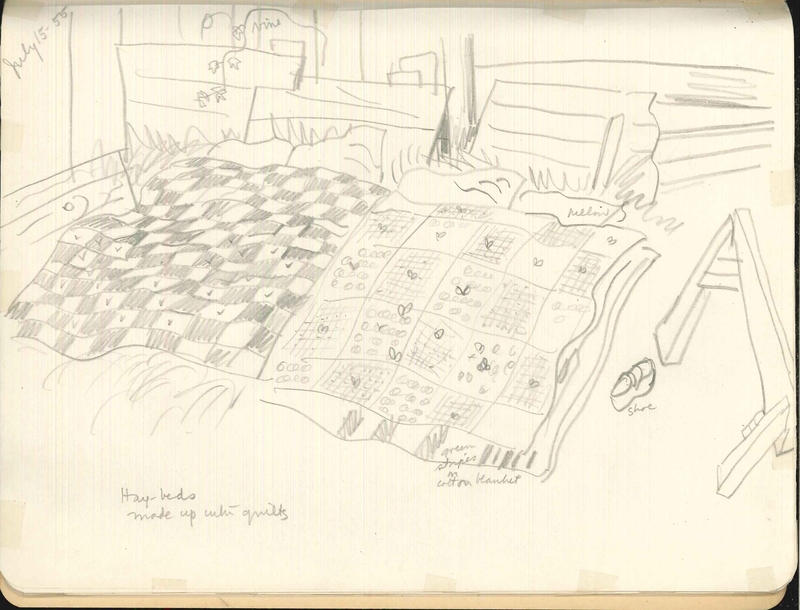 A sketch from Lenski’s notebook for her book, “The Cherry Orchard.” Lois Lenski papers, #112, Box 6. American Heritage Center, University of Wyoming. The American Heritage Center is excited to have within its collections the papers and some rare book editions of Newbery Medal award winning author Lois Lenski (1893-1974). Lenski won the Newbery Medal in 1946 for her book Strawberry Girl. Located in the Toppan Library among other Lenski titles is a 1958 copy of Strawberry Girl printed in the Norwegian language. Photographs (ostensibly to be used as the basis for illustrations in Lenski’s “The Cherry Orchard.”) Lois Lenski papers, #1127, Box 6. American Heritage Center, University of Wyoming. 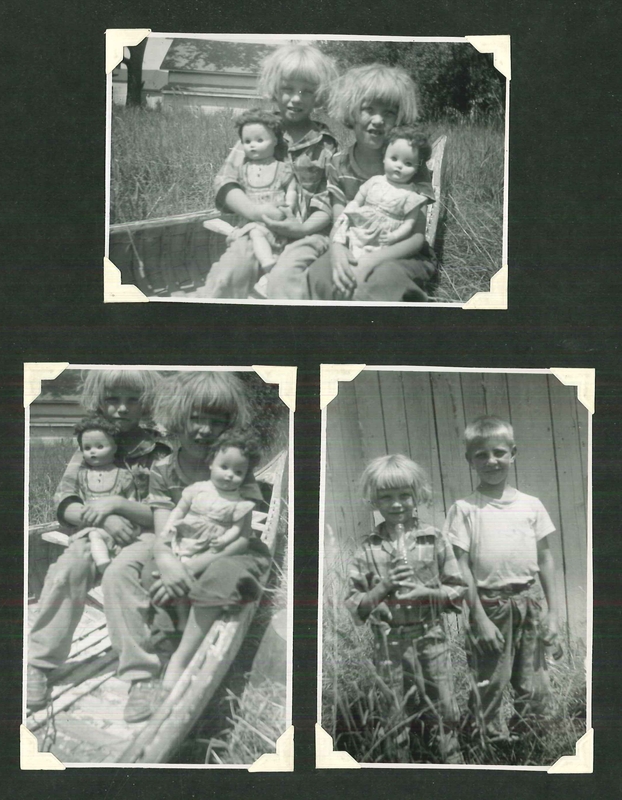 Located in the manuscript collections of the American Heritage Center Lois Lenski’s personal papers include sketches, photographs, and draft manuscripts for her books. As an illustrator as well as author Lenski took photographs and drew sketches to help her create her final illustrations. 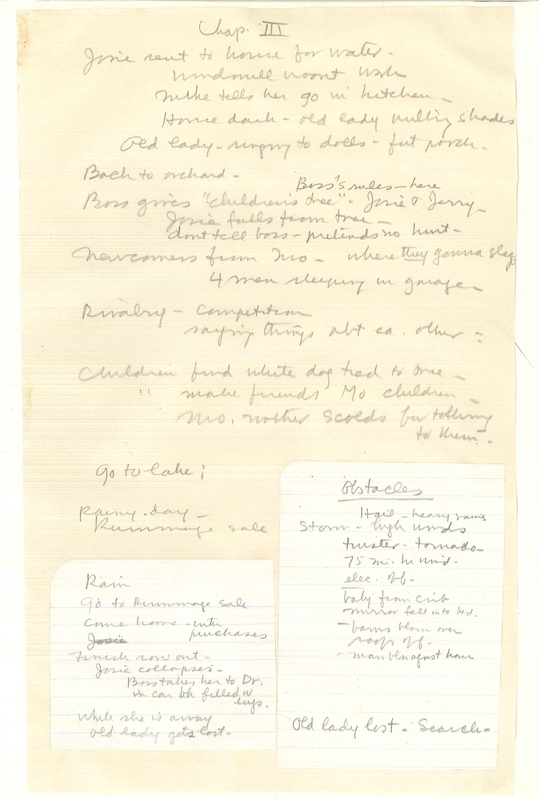 Lenski also collected information and jotted notes forming extensive background material to help her develop the stories for her books. Page of background material for Lenski’s book “The Cherry Orchard.” Lois Lenski papers, #112, Box 6. American Heritage Center, University of Wyoming. Lenski is only one of many prolific authors represented in the collections at the American Heritage Center. Hers and the papers of other authors are important documentation of the creative processes involved in writing great literature. This entry was posted in awards, Children's literature. Bookmark the permalink.